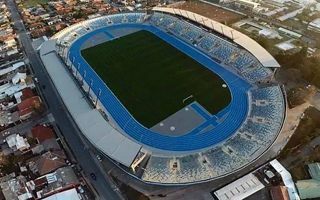 The northernmost city of Chile has surprisingly rich football traditions, having been one of the hosts to 1962 World Cup. 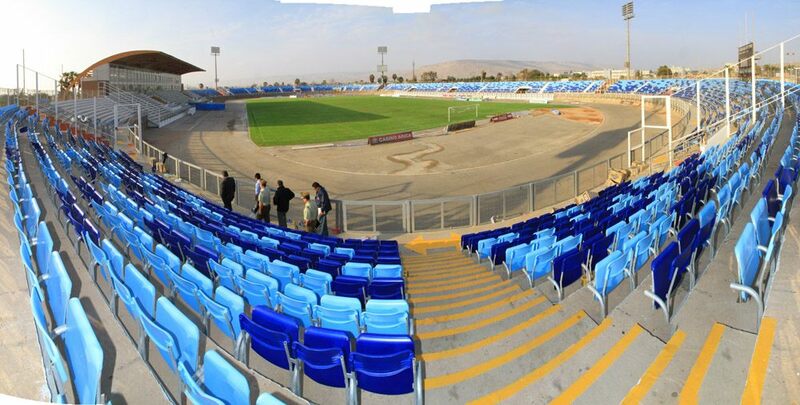 According to some sources the city was picked for its proximity to Peru, who were expected to play here. However the neighbors were beaten by Colombia who brought their fans to Chile instead. Aside from group games the stadium also held the quarterfinal that saw Chile bear USSR. The stadium hasn’t changed much since those days. Its initial layout with running track and low concrete stands still exists. 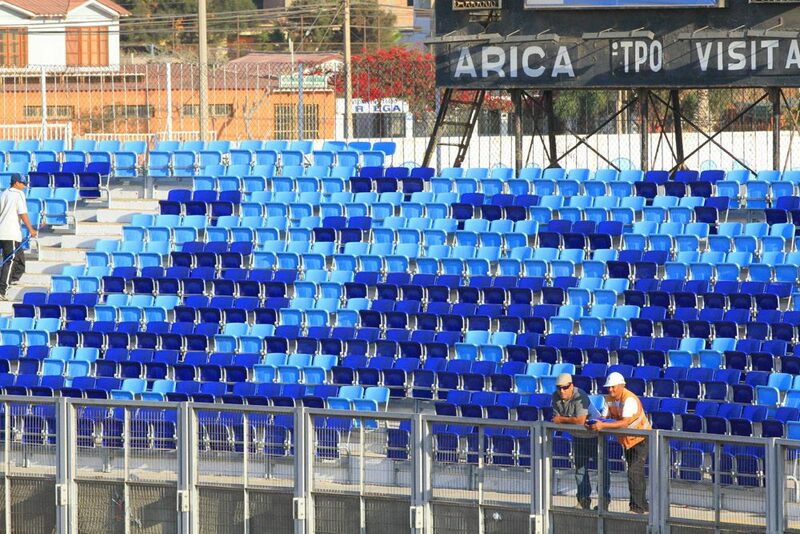 However, in 2013-2014 the ground was extensively renovated, going through conversion to all-seat mode and receiving a new roof over the main grandstand. There was plans to cover all sections, but haven’t been executed to date. Week-to-week use is provided by San Marcos, a side that spent most of its history in the second league. Though a significant club domestically, San Marcos doesn’t need the stadium to be expanded. Carlos Dittborn Pinto is the stadium’s patron since its early days. At the time of opening he was the president of Chilean organizing committee for the World Cup, but died unexpectedly before the tournament even began, just two weeks after the stadium was opened. Having been the president of CONMEBOL as well, he contributed to the tournament arriving in Chile in the first place. Both of them are among the least impressive World Cup host venues. Still, after recent redevelopment works they’re also modern and sufficient for their cities. Let’s take a trip to Chile!